Offering you a complete choice of products which include nanozr-pzy 95 yttria stabilized zirconia beads and nanozr-pzy 80 zirconia beads. 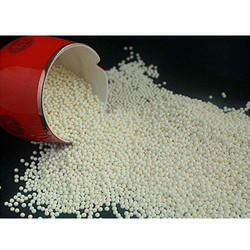 95 Beads are made of yttrium-stabilized, high-purity zirconium oxide powder. Thanks to their high density and extreme hardness product contamination is avoided. 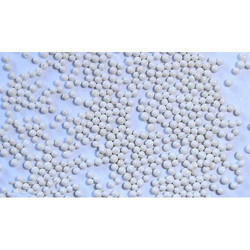 NanoZr-PZY® 95 Beads are made of yttrium-stabilized, high-purity zirconium oxide powder. Thanks to their high density and extreme hardness product contamination is avoided. Yttria stabilized zirconia beads are made with environmental shaping method. The compact Tetragonal Zirconia Polycrystal is less than 0.5pm, which give the beads outstanding anti-corrosion and wear resistance. The availability of small sizes make nano grade grinding become true. It is the best patter of high pins and turbine type beads mills with high energy density. NanoZr-PZY® 95 Beads is engineered to the highest specifications of advanced ceramic materials and technology. It is a precision product with class-leading physical characteristics and performance. NanoZr-PZY® 95 Beads is used in all mill types and is particularly suited to high energy and re-circulation processes. The selection of the appropriate grinding beads is an outstanding characteristic for optimizing dispersing and wet grinding processes with agitator bead mills. NanoZr-PZY 80 Zirconia beads offer the best grinding results. NanoZr-PZY 80 Zirconia beads: Suitability for disperse the solvent or water base slurries in disc type mills. NanoZr-PZY 80 Zirconia beads Alumina Toughen Zirconia beads are shaped by special dropping & rolling method and sinter at high temperature. The compact and homogenous microstructure says no to the air pocket, the tail and snowman beads. The perfect sphericity and middle to high gravity increase the grinding efficiency. It is an economic replacement of Yttria Stabilized Zirconia Beads NanoZr-PZY 95.